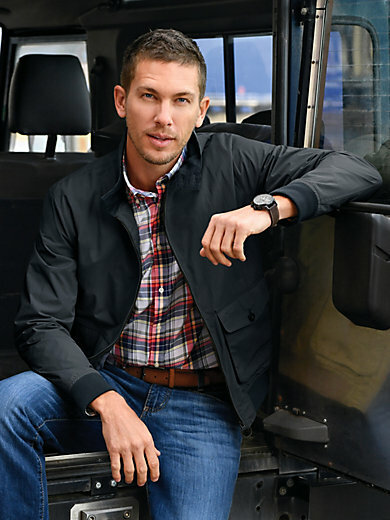 Blouson by BARBOUR from the Scottish jacket specialists in the distinctive style and a sporty masculine look. Made from robust microfibre with corduroy trim and buttoned tabs at the collar, zip, characteristic pockets and knit cuffs at the hemline and sleeves. 1 zipped inner pocket. 100% polyamide. Lining in 100% polyester. Length approx. 68cm/27ins. The blouson is machine washable. Sizes: 48/50 (M), 52 (L), 54 (XL), 56 (XXL).